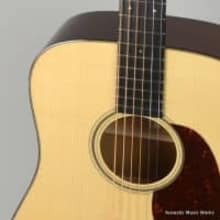 Acoustic Music Works is Western Pennsylvania's premiere purveyor and repair shop for fine fretted instruments. For more than 15 years, we've specialized in new and pre-owned instruments from Collings, Bourgeois, Huss & Dalton, Baleno and Kopp Guitars, OME, Bishline, Stelling, Deering, Pisgah and Chuck Lee Banjos, Collings, Phoenix, Eastman and Stiver Mandolins and so much more. We offer several shipping options to suit your needs, via UPS, FedEx and USPS. We offer free shipping on many items to the lower 48 states. Call if you have questions about shipping. New instruments can be returned within 48 hours if you are not satisfied. If a credit card is used for payment, a 3% restocking fee will be assessed when the refund is issued. Restocking fees are waved when payment is made via cash, check or money order.